Neuroscience is to some extent an exercise in reverse engineering the brain. Reverse engineering means trying to understand how a complex device works without knowledge of its design or access to the owner’s manual. One of the basic tools of reverse engineering is to disable one part of the machine and then see what effect that has on the machine’s function. In trying to understand how the brain works, scientists can’t just disable parts of people’s brains and then see what happens. But they can do some harmless tricks to cause the brain to malfunction a little. This is why neuroscientists like studying illusions. An illusion is basically a failure of the brain to perform one of its most basic tasks - creating a subjective experience which corresponds to reality. So by understanding how and why the brain can fail in this function, you can better understand how the function is performed. The rubber hand illusion reveals some interesting facts about the way the brain creates the self image. It also might make a fairly entertaining party trick, provided that you have decided to bring a rubber hand to a party. Here’s how it works. The victim of the illusion places both hands down on a table. The left hand is placed on the outside of a screen to block it from view, and a rubber hand is placed on the inside of the screen in a place that makes it look roughly like the left hand. So the subject looks down at the table and sees his right hand and a rubber hand where the left would normally be. The real left hand is out of sight. Then the illusionist strokes the rubber hand and the hidden hand at the same time on the same finger. So the subject now sees the rubber hand being stroked on the ring finger while at the same time feeling her left hand being stroked on the ring finger. After a few strokes the subject gets the uncanny feeling that the rubber hand belongs to her. In fact, the subject will flinch when the rubber hand is threatened. So, the brain makes a big mistake by basically taking ownership of something it does not own. What does this tell us about how the brain creates the self image? First, let’s review what is meant by self-image. 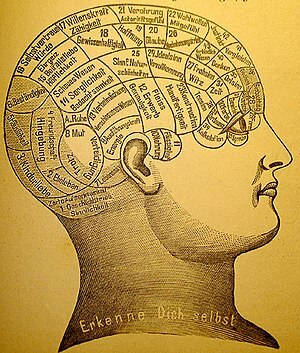 The self image is the brain’s representation of the position, activity, and condition of all the various body parts. The representation is created by networks of neurons in specific areas of the brain called body maps. So, there is a specific part of the brain devoted to mapping the hand, another devoted to mapping the elbow, etc. The rubber hand illusion illustrates several interesting facts about how the maps work. First, the maps can be changed radically in just moments. It has been known for some time that the brain will map inanimate objects that are often close to the body such as a tennis racquet, cane, or a cowboy hat. With the rubber hand, the brain not only maps it, but maps it in such a way that the hand is considered part of the body. It is noteworthy that this happens even though the conscious mind is completely aware that the rubber hand is not part of the body. I think this is an incredibly significant finding. I have stated at numerous times on this blog that the health and accuracy of the maps or virtual bodies in the brain is just as important as the health of the actual physical tissues in the body for determining how we move and feel. However, I didn’t realize until now that the accuracy of the virtual bodies could actually directly affect the health of the real ones. This opens up all sort of speculations about the interconnectedness between the maps and the body. Perhaps a part of the body that is underrepresented in the brain will not receive adequate blood supply or immune support. Perhaps a part of the body that is overrepresented receives too much immune support and is prone to inflammation. It is worth noting that body temperature malfunctions have been reported in people with peripheral nerve damage, schizophrenia, and self harm tendencies. Perhaps inaccurate maps play a role here. Indeed. Yet again more evidence that Moshe Feldenkrais was way ahead of his time in believing that awareness and self-image play a large role in our physical and mental well-being.